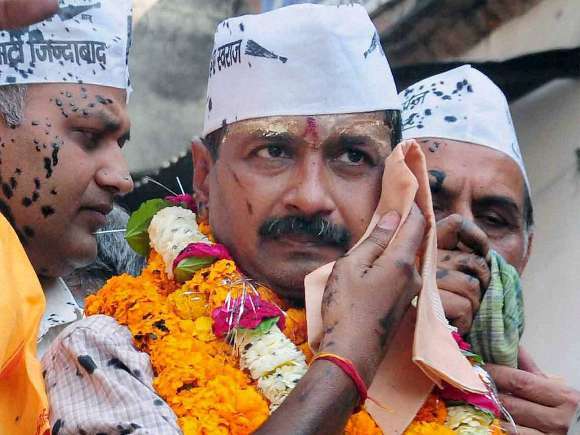 Ms. Bhawna Arora, accused of throwing ink at Chief Minister Arvind Kejriwal while he was addressing a rally, has been remanded to judicial custody for 14 days by the Court of Metropolitan Magistrate, Delhi. Rejecting the bail application, Judge Sunil Kumar observed that ink was thrown to “malign reputation of the duly democratically elected head of State”. 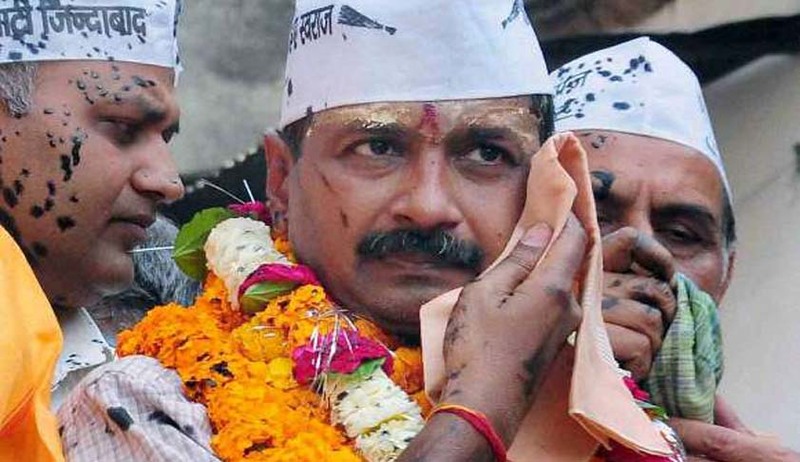 “Now, coming to the facts of the present case, as the accused with the pre meditated intention tried to insult and assault a public servant, who is Chief Minister of Delhi before the public gathering and this act of the accused in itself shows that the same was committed with due intention and planning and just to malign the reputation of the duly democratically elected head of State, which in itself is a serious act,” the Judge observed. The Judge gave consideration to the possibility of a conspiracy of other persons, as the investigation in the case was still in its preliminary stages. He observed that as the alleged offences were “grievous and serious” in nature, he was not inclined to grant bail, in view of the “behavior and nature of the act”. Representing Ms. Arora, Advocate S.K. Shah submitted to the Court that the accused has been in judicial custody since January 17 and that she is not a previous convict. He pleaded that she has been falsely implicated in the case and that nothing had been recovered from her possession. He further pleaded that she be released on bail as only one of the alleged offences against her i.e. the one under Section 353 of the Indian Penal Code, 1860 (Assault or criminal force to deter public servant from discharge of his duty) is non-bailable in nature. All other alleged offences are bailable. Advocate Shah relied on Section 437 of Cr.P.C., 1973 to aver that Mr. Arora is entitled to bail on account of her being a woman. On the other hand, Additional Public Prosecutor Vineet Dahiya had opposed the bail plea, contending that the assault was not only on the Chief Minister, but was a direct assault on democracy. He further averred that Section 437 of Cr.P.C. does not provide an absolute right to the accused to get bail. The section only provides discretionary power to the Court for giving bail to the accused woman, he contended. Accepting such contentions, Ms. Arora’s bail plea was rejected by the Court. The Delhi police has lodged a case under Section 186 (obstructing public servant in discharge of public functions) and Sections 353 (Assault or criminal force to deter public servant from discharge of his duty) of IPC, 1860 at the Model Town Police Station against Ms. Arora. Topics : Advocate S.K. Shah | Bhawna Arora | Chief Minister Arvind Kejriwal | Delhi Court | Judge Sunil Kumar | Section 437 of Cr.P.C.